Post subject: Underworld Dreams buyout? anyone can enlighten me whats happening with this card ? 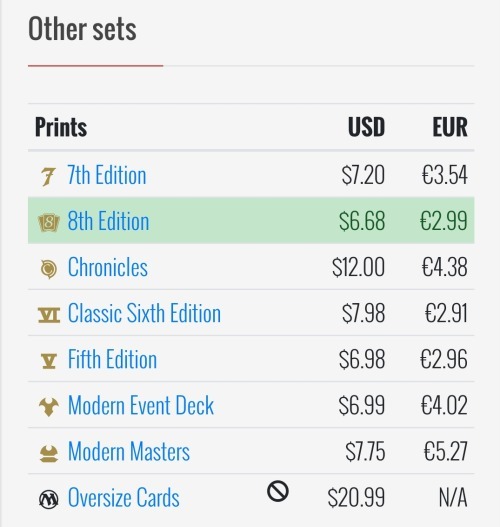 its disappearing from everywhere, even in card market.. i saw a couple in the morning and now they almost all gone, and the ones available have double/triple the price ? Post subject: Re: Underworld Dreams buyout? There's a lot of buyouts going on right now. Mox Diamond just hit like $350 due to some buyouts as well. I'm not seeing Underworld Dreams being bought out. Did you mean another card? The Legends printing seems to have tripled in price in a one month span (from ~$28 in early March to a spike of $95 in early April and it hasn’t lost much since it peaked). Other printings seem unaffected, but it sure looks like a buyout hit on the Legends print specifically. There's tumblr account that tracks buy-outs that I've been following for a while now. Null Rod doesn’t see much Legacy play but it is a vintage staple. The first spike, back in early 2016, was when people figured out that modern Eldrazi aka the deck from Eldrazi Winter was busted enough with some tweaks to see Vintage play. Who knew that turn 2 5/5s would be good enough? The deck has enough power to close out games fast whike disrupting the oppinent by turning off their moxes with Null Rod. The other benefit was that it was CHEAP. 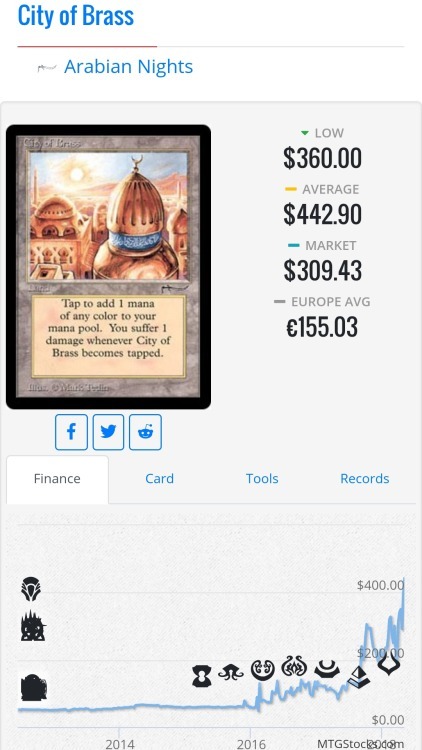 Colorless Vintage Eldrazi is currently about $1500 which is cheaper than Modern Jund and on par with Modern humans and is a legitimate deck if you wanted to dip your toes in Vintage. There’s no new use for this card and I can’t imagine there’s been a huge influx of vintage player so this appears to be another in the long list of buyouts. Someone on reddit appears to have been behind it. I don't much see the point of a buyout of you can get other legal editions for $3, but ok. If ever I were interested in getting into legacy or vintage, stupid things like this would deter me away again. It's a collector thing. Imagine if you wanted to get a complete Legends set, and you still needed to pick up Underworld Dreams for some reason and now the price is way higher than it should be because some jerk bought them all out. Collectors probably need to realize the futility of collecting everything. Even if they did collect everything they would just feel empty at the end of the pursuit. Especially if people are going out of there way to artificially increase the rarity of a card just by buying all the existing copies. The specific printing is somewhat relevant to 93/94, if you for some reason should want to play that format. Modern-era cards are not truly an issue. They can and will be reprinted. 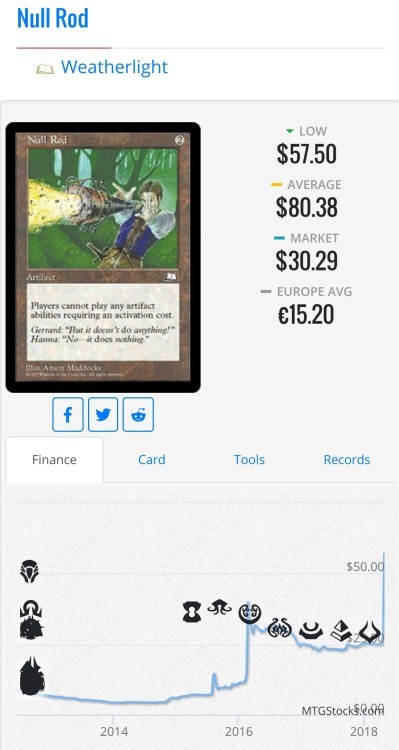 Prices will be very high at times but I don’t see anything getting back to even $200 - the former high of Tarmogoyf. To be clear, $200 cards are not ideal and, I would argue, unhealthy but they are much more obtainable than a $2-3k Tabernacle. A quick aside - treat masters and other reprint sets as a sale. Try to save up ahead of time and jump on the singles you want. Sadly I missed Horizon Canopy and Imperial Recruiter but I was saving for Savannahs. At the end of the day, I’m happy to have the Savannahs because the others will be reprinted for sure. Back to the main topic, I would say that WOTC should be able to abolish the reserve list while maintaining collection value. This card was $60 until Kaladesh. Old School became more popular putting a strain on the AN original printing and it started going up in fits and starts before spiking hard and now it’s at least over $300. This card must be ultra rare, right? Nope. It’s been reprinted into the ground or one would think. It sees fringe play in eternal formats at best and yet still commands a premium. A quick thought experiment. 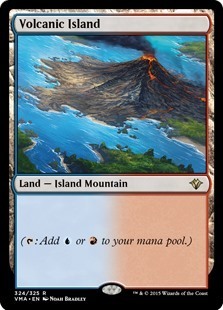 All dual lands have sweet new art for Vintage Masters. They’ve also never been released in foil so even those who’ve foiled their legacy deck run non-foil lands. What would happen to the price of duals if these were released as masterpieces? Even if they were just mythic rares I would argue that all versions would increase with a reprint much like Tarmogoyf in MM2013. There’s a ton of latent demand for dual lands - modern players hoping to get into legacy, Cube and EDH players who want upgrades, or simply those who’ve been priced out by spikes. It’s my assertion that Alpha, Beta and Unlimited cards would generally retain their value as a collectible despite a reasonable reprint. fight ! fight ! fight ! Buyouts... how do they even work ? 2) There are (almost) no people dumb or desperate enough to buy the overpriced cards from the schemer. Schemer sits on his stack of cards for a few months, concedes, and lowers the price to the previous level. There is basically no profit this time. 3) Schemer publically destroys substantial amount of those cards. Now, the cards "objectively" cost more, but the schemer also has proportionally less cards to sell. Sure, if he ensures there are only 5-10 copies of some card in the world, this card would also get collectible value. 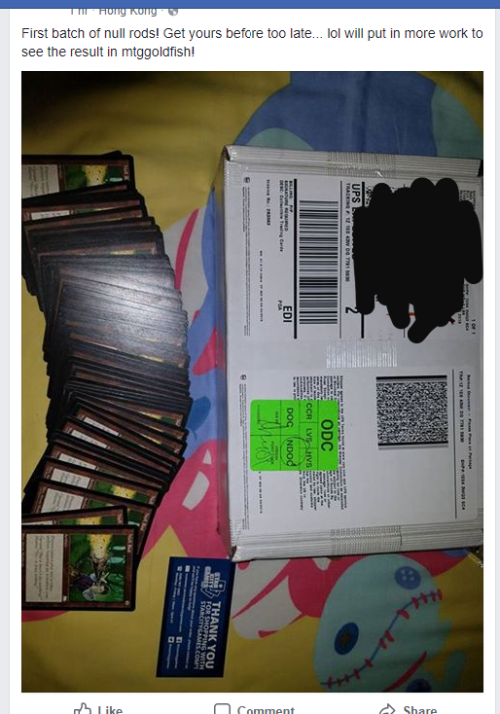 But are there enough collectors in the world to buy a card for ridonculous price from an obvious scumbag who openly destroyed cards for his profit ?